Google Pixel is a new branding of smartphones, releasing under the umbrella of giant Google. The successors of Google Nexus smartphones just started this month. Google Pixel and Pixel XL are the new device of the company. Both these devices have pretty nice hardware specs, latest Android 7.0 Nougat firmware along with a very stunning shape and style. Google has re-build lots of firmware features, apps UI and launchers animations. You might become to face through lots leaks and finally seen the real specs and look of the devices. However, here is the Google Pixel Launcher APK for all the android smartphone users. Installing Google Pixel Launcher, you will get a clean image of the Pixel and Pixel XL smartphones on your own android phone. The XDA senior developer LlabTooFeR, has already got has hands on the Google Pixel Launcher. He has provided the APK of Pixel Launcher that was known previously as Google Home Launcher. 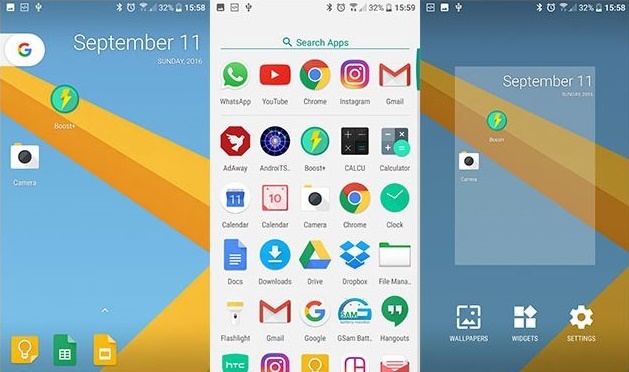 He has also shared several snapshots of the Google Pixel Launcher on his post. Here you can also look the main screenshot of the launcher. In this post we have shared, how to Install Google Pixel Launcher APK and Get a Close Look of the new Pixel smartphones. It’s available for free and you can download it at the PC. Download then install Pixel launcher at your device and get a Close Look of the new Pixel smartphones UI and launcher. Download the APK of Pixel Launcher from the link. Move the APK file into the phone memory. Unknown Sources option should be enabled from the Settings > Security > Unknown Sources. Browse APK on the phone and tap to install. Open the installed Launcher from the app drawers. You have successfully installed the Google Pixel Launcher, Enjoy!